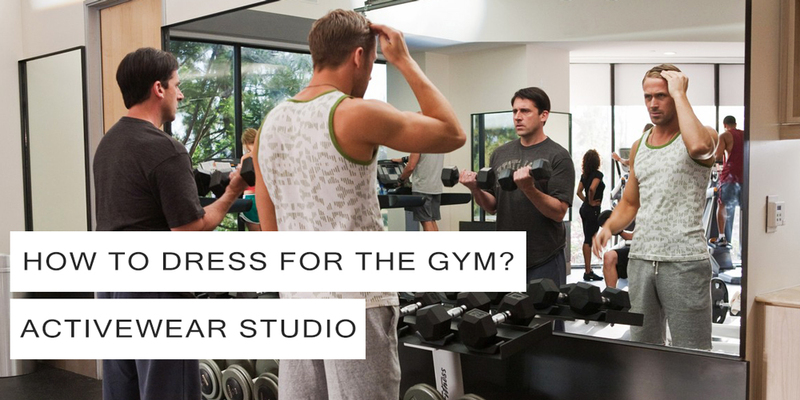 In this blog, we are going to give you a step-by-step guide on how to dress for the gym from our Activewear Studio. Over the years of going to the gym we have seen many NO GOES with the outfits that step inside the den. You have to dress for the practicability of your Workout but also being aware of your surroundings as it’s not only Men that go to the gym. The secret to getting a good workout, all starts with looking good within your Gym Outfit which will make you feel good which leads to a great workout. We are going to name you a few high profiled gym goers such as David Beckham, Charlie Hunnam, Jason Statham and Mark Wahlberg who do it right. We will also share a few outfits that we give the green tick to but also, an outfit which gets a big red cross from us and marked down as a no go! 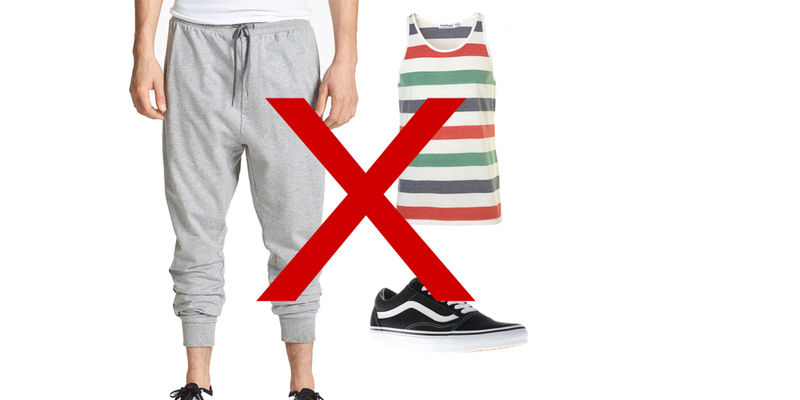 The problem with the above outfit is that it has literally been pulled from your average guys wardrobe without any effort or thought put into it. This will also translate across to your workout as you have not made an effort with your gym wear, how will you make an effort with your actual workout? We are now going to run you through a few outfits from Brother2Brother which is the perfect outfit for the gym unlike the above. We have a variety of brands from Adidas Y-3 to Stone Island and C.P Company which specializes in their very own high-end sportswear ranges.